Solarstone pres. 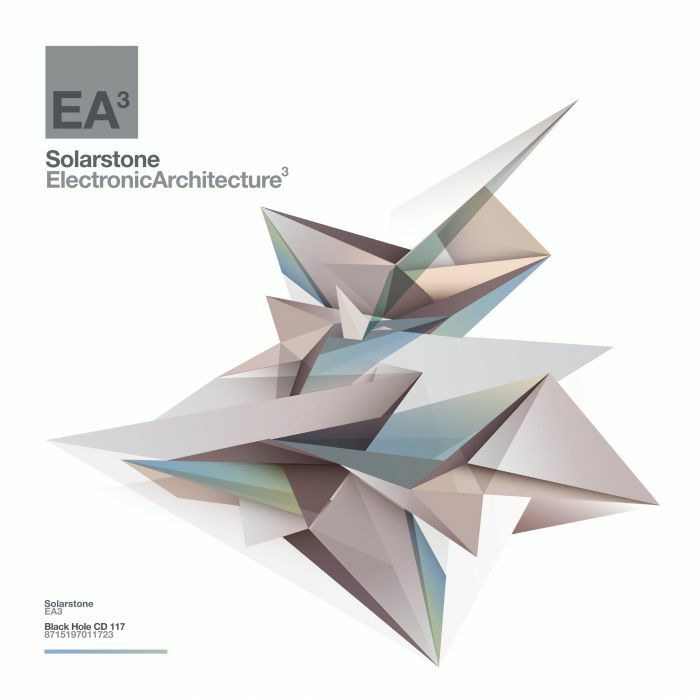 Electronic Architecture 3 - Solarstone. 3 years is a long time in dance music… Time and space can appear to move that much faster still if you’ve spent it crusading the cause of Pure Trance, reclaiming your place as one of the world’s hottest 100 DJs in the process. It’s exactly that interval since Electronic Architecture – Solarstone’s much praised, IDMA-nominated, boundary breaking music-vs-art project – series received its second (or ²Squared) edition. With Pure Trance catalysing club floors globally, Solarstone now picks up the Electronic Architecture story with this, its extraordinary trilogy-completing outing. The release, now boosted into a triangulation of three mixes, provides the long-awaited bridge back into ‘EA’s standalone dominion. Containing music from returning Architects, it also features many debutante engineers – subjects of the influence of the first two albums audio and imagery. With mix#1’s tone, tempo and technique tracking the first album’s progressive/trance compression, the second finds Solarstone integrating Pure Trance motifs into ‘EA’s sonic ethic. Solarstone is an artist who musically always has something fresh to ‘say’. Underlining that, with its third disc he becomes the first headlining DJ to shine a light on a new, audibly emerging electronic music subculture. ‘Electronic Architecture³’ features new audio from respected names like 16 Bit Lolitas, Basil O’Glue, Orkidea and – naturally – the man himself. It also includes exclusively made remixes of tracks that were origin influences for the series as well as inspired fold-returns for artists like the immortal Salt Tank. For this edition, alumni names from the first two releases are also back on EA’s campus. In the mix comes brand new music from returnee Architects inc. Nick Stoynoff, Konektiv, Alucard, and the album also mix-exhibits work from a completely new class of sound shapers & designers. Accept no gimmicks, contrivances or devices; this music is pure of essence, sound of mind and again ready to redesign dance music’s skyline. #Mix1 picks up precisely where the ‘²Squared’ edition left off. Harmonically mixing with an unprecedented seamlessness, Richard lays down its foundations. Tracking trance and progressive’s endlessly enthralling margin, the epic ‘Beat Organ’ from 16 Bit Lolitas’ and Soarsweep’s melodic ‘Thistle’ collectively presage the latest from Basil O’Glue. Possibly one of the ‘EA’ school’s most notable ‘graduates’, he wows with the astronomically minded sonics of ‘Seven Sages’. To the mix Solarstone & Orkidea then deliver the third in their sub-series of ‘Slowmotion’ releases, which dovetails into Guy J deep, relentless rework of AMbassador ’99 classic ‘The Fade’. Bringing the disc to a head, ‘Monoposto’ from Mexico’s Konektiv and Gai Barone’s ‘Metal Jaws’ bookend Solarstone’s steel-strong EA-exclusive ‘Nothing But Chemistry Here’. With ‘EA³’ foundation bedrock well in position, #Mix2 sends the sound vertical, developing the release’s geometric superstructure. Dawning with the incredible ‘EA³’ Reconstruction of Forerunners’ 2007 ‘Lifecycle’, its opening minutes also deliver Allende’s much-sought remix of Salt Tank’s hiatus-ending ‘Phoenix’. With Pure Trance running through its veins, the mix’s arteries are on fire with tracks like The Thrillseekers upcoming ‘This Is All We Have’, the distorted blaze of Eco’s ‘One Day’, the deliciously moody contrast of Orkidea’s ‘Purity’ and Solarstone’s own Retouch mix of summer-burst ‘4Ever’. #Mix3 brings something completely new to the ‘EA’s DNA, showcasing trance & progressive music currently being cultivated by a small but dedicated label/studio axis. It’s the Electronic Architecture sound-spectra you know, but at tempos never previously recorded. Bringing the final shapes, shards and sounds to ‘EA³’, the mix includes album-exclusive reworks of many of the its crop, inc. O’Glue’s ‘Seven Sages’, Barone’s ‘Metal Jaws’, Rischaad’s ‘Razorbeam’ and others. It also features ‘Awakening’ from Winkee (one of the subculture’s early propagators), the oceanic dive of Alexey Muravyev’s ‘Evening Surf’ and ‘Dedication, Loyalty’ from modern-classical composer Nils Frahm. Drums, bass, synths all remain, but at 100bpm tempos, bringing the tracks fresh dimensions and envisioning an entirely new meet-point between ambient & trance. Triangulating three different sides of Electronic Architecture into one extraordinary mix-comp, Solarstone delivers the series’ third masterpiece. The corridors of sounds will never be quite the same again.